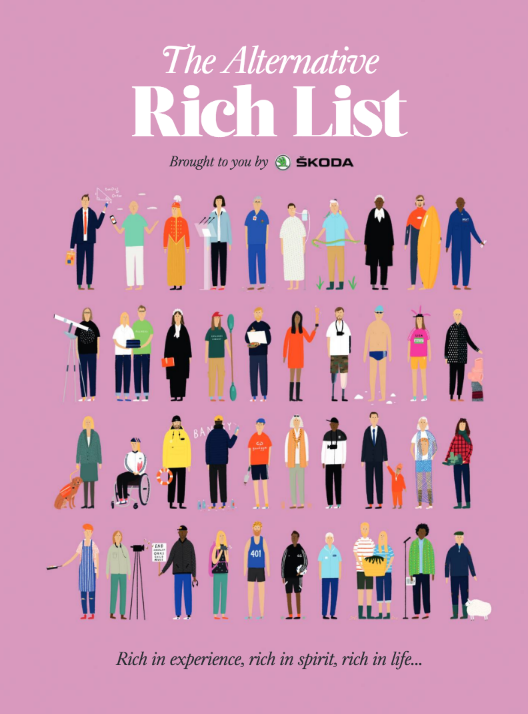 This weekend The Sunday Times published an Alternative Rich List in conjunction with the annual Sunday Times Rich List. It’s a list that acknowledges “wealth” beyond material wealth. I am very grateful to be included in it. It’s a fascinating collection of people from all walks of life including Sir David Attenborough, Banksy, Virginia McKenna, Christiane Amanpour and others. I love swimming. I love oceans. Swimming over coral reefs, down spectacular fjords or past ancient icebergs is an immense privilege. It reminds me how precious these natural treasures are. And to be able to help with the negotiations to create large Marine Protected Areas in our oceans feels like the best job on the planet. I am not paid to do it. But it’s immensely satisfying.